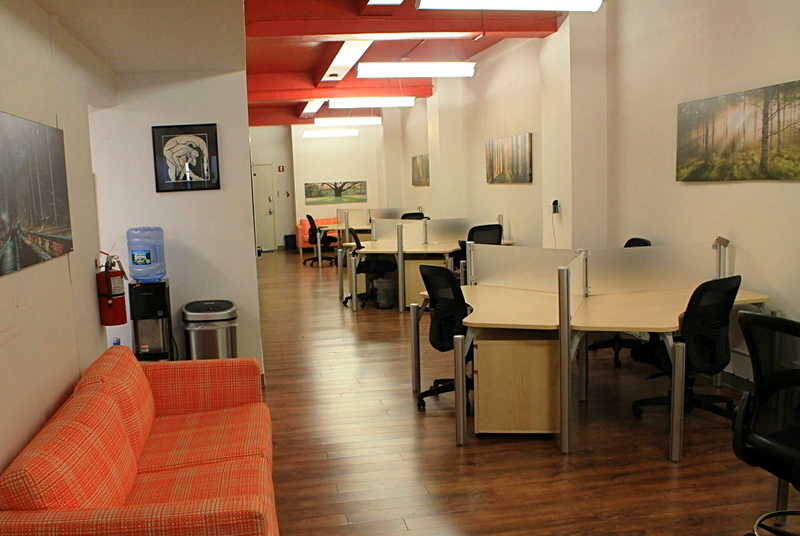 Open floor plan accommodates 18 desks. 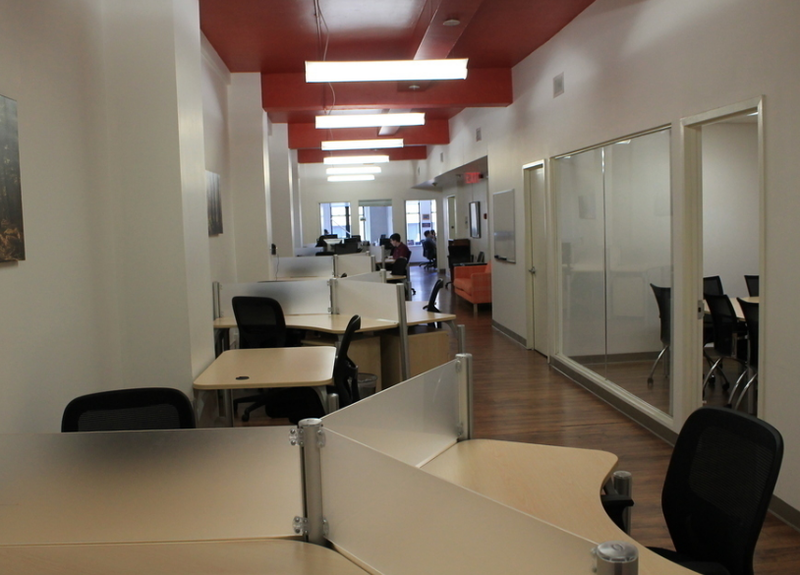 Current Availability – 12 desks. Quiet space filled with programmers, business consultants, and copywriters. 4 hours of conference rooms time will be allotted per week for each 3-desk configuration rental for team, or client meetings. Building – helpful supers, neighbors et al. Welcome to bring your bike every day through the freight elevator that takes you directly into your office! Reduced rates available if leasing for long term and/or leasing all spaces, please inquire for more information. Keep your space and kitchen clean. Be respectful and good company. Desk configuration of 3 pods connected, includes use of conference room for 4 hours per week. SGP – we are IT specialists. We have a server within the space. We can integrate your needs into our existing hardware. We could work with you to setup a companion service with one of our providers.